The report can be downloaded from the link at the bottom of this page. This study was developed in partnership between Jigsaw Consult, Tim Unwin and Mark Weber. It is a future-focused study, considering what the use of ICT in basic education in deprived contexts may look like in 2020 and 2025. The report draws on research evidence to ground predictions from the literature, the authors' experiences of ICT use in education initiatives, interviews with practitioners and academics, a workshop, and consultations with Save the Children staff. The role of parents and communities in helping children gain learning experiences will increase. There will be an increase in the amount of non-formal and informal learning among people of all ages, especially in low income and peripheral contexts. 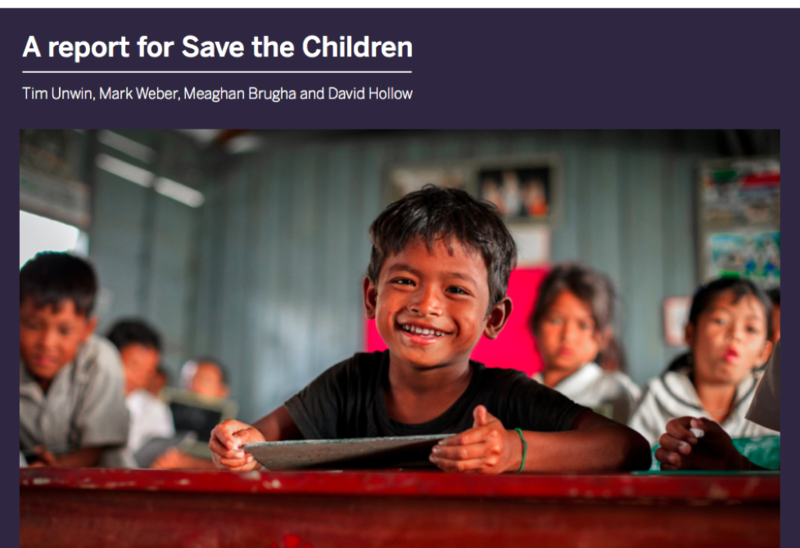 This report can also be accessed through the Save the Children website and has been featured by one of the authors, Tim Unwin on his blog.